Under the Dome by Stephen King. 1. I associated King with horror. And I don't like horror. Horror movies scare the beejeezus out of me, and I can barely tolerate parts of "The Walking Dead" on AMC (but I love the characters). 2. Length. 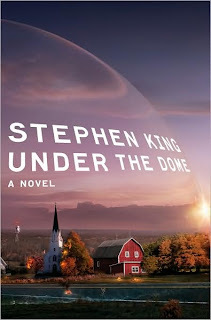 While I am not afraid of long books, I was afraid that Under the Dome was long and horrific (see #1). How would I power through it? 3. I actually have no experience with King, beyond On Writing. How would I react to King's work? However, I knew the miniseries was coming out (it debuted on Monday), so I knew that if I wanted to read it, now would be an excellent time. There was also a readalong going on that offered some encouragement. So I joined up, a bit late in the game. For anyone who hasn't seen the trailer for the series, or who has no idea what the book is about, it focuses on the town of Chester's Mill. One fall day, a mysterious dome covers the town, sealing it off from the rest of the world. There is no explanation for the dome and while the military tries to penetrate it, it stands firm. What happens inside the town, "under the dome," forms the basis of the novel. What happens when a community is isolated and on their own? Inevitably people begin to take advantage of the situation-some rise to help others, and others rise to push their own agendas. This novel felt very political to me as I read it. Big Jim Rennie, one of the novel's biggest villains, rises up early on to seize power in the town. And while there are many who disagree with the actions he is trying to take to seize control, no one steps in stop him. And by the time things get really bad, it's too late. Big Jim has so much power that he really can't be stopped. There were also a lot of environmental issues that were central to the book. As the dome holds in the air, pollution, and fumes from the town, it takes on a yellowish tinge and the temperature rises. You have to wonder if King was doing this on purpose-showing us the error of our ways (because obviously it was noticeable to the townspeople and they did nothing to stop it to prevent it from getting worse). The biggest piece of the book that I enjoyed was the actual writing. I found it to be very straightforward in style. And while there were certainly some extremely cheesy lines, the whole book just felt fun. Fast. Action-packed. It was something I miss when I'm reading, say, Dickens. If this title is anything like his others, I can see why King is so successful. It was an easy read-uncomplicated, catchy, and intriguing. I would definitely read another book by him (as long as it wasn't horror). There is more I could say, but I don't want to spoil. (And to be honest, I'm having a hard time writing about this in general. I've fallen out of the habit of reviewing and talking about books...so this has taken me far too long. :) I hope it gets easier the more often I write). 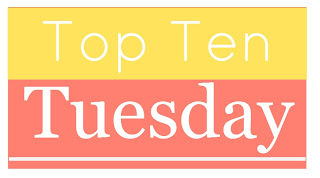 Top Ten Tuesday: Top Ten Books I've Read in 2013. When I saw this week's topic for Top Ten Tuesday, I chuckled a little bit. My goodreads reading challenge tells me I've read a paltry 34 books this year. I believe that at this time last year I was in the 50s...but oh well! Most of what I've read this year falls into the YA category, which I'm actually okay with. I miss my classics diet, but I needed some YA in my life! Without more rambling, here are the top ten books I've read this year. They aren't in any particular order-just going from January to now. 1. Cold Sassy Tree by Olive Ann Burns: I thought this was a brand new book when I began reading it in January, but it was so familiar to me that I eventually put the pieces together (apparently I read this as a sophomore). I loved the small town focus of this, and the hilarious scenes. It was heart-felt and warm...and just what I needed to kick off the year. 2. My Antonia by Willa Cather: I was really worried I would hate this, since I hated it as a high school freshman, but imagine my surprise when I LOVED it. I loved it so much that I kicked off my Willa Cather Project and began reading a long list of Cather titles. This is the perfect story about life on the plains...I kind of want to read it again. 3. The Great Gatsby by F. Scott Fitzgerald: I think what made me love this book even more was being able to teach it. I got to pull so much from it to share with my kids and they, in turn, pulled a lot to share with me. It was a great experience, and this is most definitely my favorite book I've taught (I'm guessing until I teach The Catcher in the Rye this fall. I have a feeling that I'm going to LOVE that). 4. Graceling by Kristin Cashore: I adored this novel. It was the perfect fantasy novel, with a great and believable love story. And lots of action! It is what jump-started a series of YA books on my nightstand. I ended up flying through Cashore's other 2 titles shortly after...and now I have to wait for the next one. 5. Loteria by Mario Alberto Zambrano: This was a title that I accepted for review...and have yet to actually review on the blog. It's the story of a young girl who pieces her story together slowly, and as she inspired by the pictures on Loteria cards. It was a beautifully written book-one that was slowly put together, and I really fell in love with the writing and mix of Spanish and English. 6. Every Day by David Levithan: I tried another Levithan book earlier in the year, but wasn't a huge fan. Since this one had pretty good reviews, I selected it as my second chance title...and wow. I love the premise of this-waking up in a different body every day and experiencing a new life every morning. It was wonderfully written and had great conflict. It also left me wanting to try another by Levithan! 7. Out of the Easy by Ruta Sepetys: I am deeply in love with Sepetys' other novel, Between Shades of Grey. It blew me away and I convinced about 10 people at school (teachers and students) to read it over the last school year. So I was very excited for her sophomore title! I loved this one as well-a great story about a girl in New Orleans who is struggling to find her place in a truly messed up environment. It was a fast and absorbing read! 8. The Brief Wondrous Life of Oscar Wao by Junot Diaz: I don't know what I thought I was getting when I started this one, but wow...this was something. There were many lines that made me laugh loudly (so I had to share many with my husband, who was wondering what exactly I was reading). But I loved the story of this family-woven in and out of the generations. In some ways it reminded me of One Hundred Days of Solitude...but more intense in some ways. It was great. 9. Let's Explore Diabetes with Owls by David Sedaris: First, let me just say that the title of this is awesome. And the cover equally so. I won this during the readathon, and I was excited to dive in. This is the only title by Sedaris I've read (I have another on a shelf somewhere), so I went in not knowing what to expect. It was funny, random, and just what I needed to get through the last week of school. 10. Under the Dome by Stephen King: My most recent read, but one that I really loved. It was my first fiction book by King (I had previously only read On Writing), so I was a bit hesitant. I ended up becoming completely obsessed with this book for the better part of 5 days until I managed to finish. It was simply awesome, and I cannot wait to try more novels by King (of the non-horror persuasion). Let me know what your favorites have been from this year! Weekly Wrap-up for June 23, 2013: On Grandfathers, Babies, Organization, and Books. Today marks 10 years since my paternal grandfather passed away after a battle with cancer. It was just a couple weeks after my high school graduation, so the time period has always remained fresh in my memory. Many of my pictures from my senior high school events-prom, graduation, my graduation party-all show my grandfather's slow deterioration. I never knew my maternal grandfather. He passed away before I was born, so my Grandpa Fred was something pretty special. He was a great man, and we all loved him dearly. I think about him, and my Grandmother Kay (who passed away a couple years after he did) regularly. I wonder what they would think of where I am now. Matt and I were talking about Grandpa this morning. Matt was lucky enough to know my Grandpa (we've been together almost 11 years), so he has some memories. He was at the funeral with me and shared those thoughts and memories. And he agreed, it doesn't feel like it's been 10 years. But to bring things full circle, my cousin Kate had her second son this morning-Sawyer James. James was my grandfather's middle name, so it was a touching tribute to him. My brother and his wife gave their daughter Zoey the middle name of "Kay" in memory of my grandmother. I love that we can honor our relatives in such a way. And little Sawyer made today a much more special day. I've been out of school for a week, and I haven't been all that productive. :) I got sick on the last day of school (what I thought was a cold-turned out to be a sinus infection and a double ear infection), and I'm still fighting it off. It settled in my chest, so I have an icky cough that just won't go away. So, all the cleaning and organizing I wanted to bust out in my first week off just plain didn't happen. I did make a huge list of all the things I want to get done this summer. A lot of the list includes cleaning and organizing. I've gotten to the point where I just don't see why we have so much STUFF. Our apartment isn't super tiny, but it also isn't big. But we have too much crap everywhere! Our storage unit in the basement is pretty full (although, most of that is Matt's...I have no idea what's down there...), so that definitely needs to be cleaned out this summer. I'm at the point where if we haven't used or needed something in the almost 3 years we've been living here....why do we have it? I'm ready to dump, donate, and rediscover. I'm also planning on settling in with On the Road. I started it last night and while I am only 20 or so pages in...I'm not a fan of the style. At all. Perhaps it will grow on me, but I'm kind of doubting it! I have finished a number of books in the last couple of weeks, so it seems my reading has picked up again. 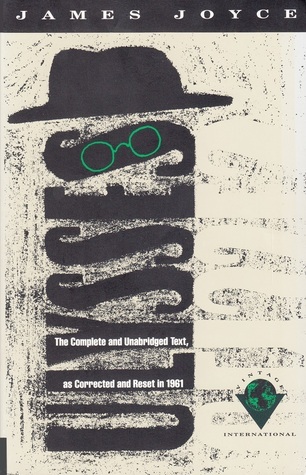 Granted, much of what I've been reading is light and fluffy, but I'm craving some classics. For example, right now I really want some Steinbeck, and I've been eying The Grapes of Wrath all morning. We'll see what happens. 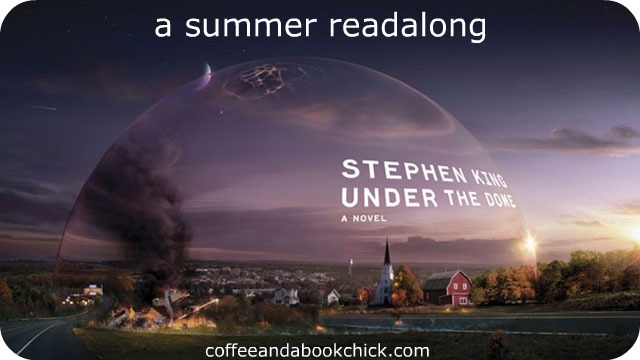 But, I do have plans to start reviewing and talking about books in more detail....starting with Stephen King's Under the Dome. I flew through all 1100 pages this past week. It was the first big King novel I've read, and I was definitely a fan! Anyway, those are my plans for this week. I'm excited to be blogging again, even if it has taken me a lot longer to write this post than I remember...I've lost the writing touch! I hope you all have an excellent week! Top Ten Tuesday: Top Ten Books on My Summer TBR List. 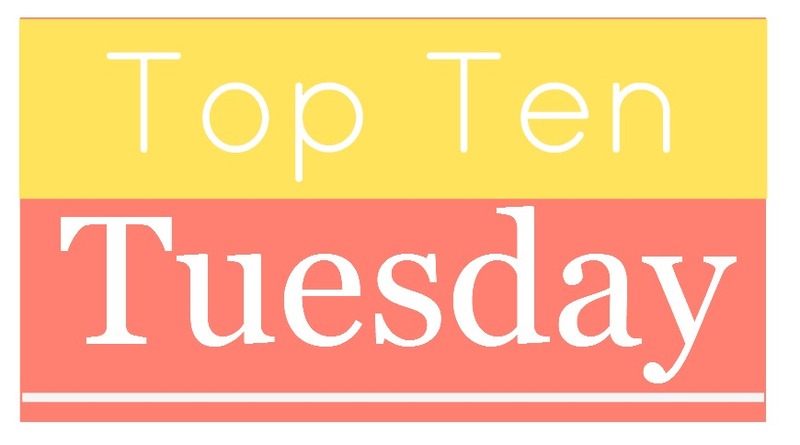 It's Tuesday, and that means the folks over at The Broke and The Bookish are hosting "Top Ten Tuesday." Each week they pick a topic and bloggers count down their top ten in the given category. This week is the "Top Ten Books on our Summer TBR Lists." These lists are some of my favorites-I love making lists for my TBR piles. :) And since I am just getting back into the swing of blogging on a regular basis, I think counting down the ten books I most want to get to this summer is great inspiration. 1. Under the Dome by Stephen King: I'm actually already reading this. I heard there was a readalong going on a couples weeks ago, and I knew I would pick this up as soon as school got out. The only other King book I've read is On Writing, so this is a new experience for me. :) I've been wanting to read this since it came out, so I'm glad the opportunity is here! 2. 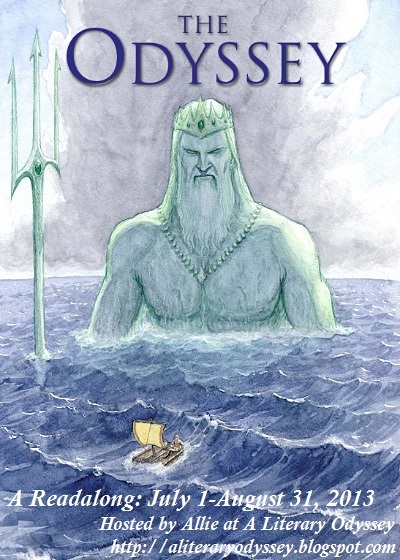 The Odyssey by Homer: I'm hosting a readalong of this starting on July 1. I'm excited to reread one of my favorite books of all time and share my love and passion with all of you. It's also been a few years (4) since my last reread (the first book I read for my classics project), so I'm hoping this will further inspire me to tackle the remaining titles on my classics list. 4. The Song of the Lark by Willa Cather: This is the next title for my Willa Cather Project, and I'd really like to finish it (I actually started it and finished 50 pages this spring but set it aside in favor of sanity. From what I read, I know I'm going to love it, so it's just waiting on my nightstand. 5. Return of the Native by Thomas Hardy: I'm thinking of hosting another Victorian Event come late summer since last year's was a blast. This title was one I really wanted to read last year, but I never had a chance...and it has been calling to me ever since. Even if I don't host another Victorian event, I'm still going to read this! 6. Anna Karenina by Leo Tolstoy: I started reading this back in January and got pretty far before setting it down...and never picking it up again. This is a title I'm ready for, so I think this will become a priority come July. 7. Teaching with Love and Logic by Jim Fay and David Funk: The closest I can come to explaining my classroom teaching style is "Love and Logic," but it has been a really long time since reading this (and I know I don't follow it to the letter, but I don't think I need to). I do want to read this again as a refresher before school starts up again in the fall. While I was happy with how I ran things this past year, I have a lot to learn. 8. Going After Cacciato by Tim O'Brien: This is another one that has been on my mental TBR for a long time. I've only ever read The Things They Carried by O'Brien, so I'm looking forward to another O'Brien experience. 10. The Bell Jar by Sylvia Plath: I haven't read Plath's novel since I was in college, but I think I need to read it again! One of my groups of sophomores researched her for their American author project, and that spurred a desire to pick it up again. There you have it-the ten books I most want to read and finish this summer! Let me know what you're planning to read! 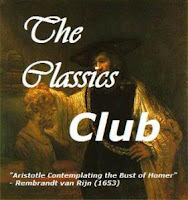 A very long time ago (almost a year ago), I volunteered to host a readalong of Homer's The Odyssey for The Classics Club. It was a commitment I made at the very beginning of the formation of The Classics Club, and one that I have been excited to fulfill. Even with my...limited blogging as of late, I knew that this was approaching and my excitement to share one of my favorite books with other book bloggers has me raring to go. I have a very soft spot in my heart for Homer. 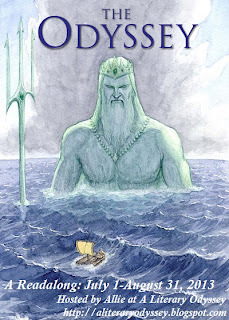 The Odyssey was the very first book that I read for my personal classics challenge, and a book that I often think about as I debate the purpose and future of my blog. Nothing is more exciting to me than being able to share this with you and help you discover one of the oldest works in existence. The readalong will not be a strict one. The general idea is to read the book within the 2-month timeframe and write a post at some point (or at multiple points) about your experience reading the book. I will be posting periodically about my own insights and experiences with the book, as well as (hopefully) offering some insight to the story and characters. The ending date for this is special to me...it will end one day before my 4-year blog anniversary, and 4 years after I decided to sit down with The Odyssey to jump-start my classics journey. In many ways, I feel like this readalong is going to bookend a lot of what I have done here...and it will hopefully re-inspire me to continue forward with my classics journey. I hope you will be along for the ride. To participate, please sign up using the Mister Linky below. I will have a master post on the first of July for you to link to as you post about your own "odyssey" through Homer.